Bookings are now open - see below. Perfect for upcoming professional cheesemakers, those who want to become professional cheesemakers, or just those who want a refresher of the all-important basics of professional artisan cheesemaking - a structured small-scale classroom-style workshop over 2 days to learn what is required to make great artisan cheese, including the latest tips and techniques for improving artisan cheese outcomes. * finishing with a session on defects and troubleshooting, providing invaluable tools for managing production and working through the challenges of the inherently variable processes of milk quality, cheesemaking and ageing. * Ivan teaches the methods and tools used by the great cheesemakers of the world, in a practical way that enables cheesemakers to apply the techniques to their own cheesemaking. They do not require you to buy expensive equipment. We look forward to seeing many members at these workshops, which will also serve as important networking and information-sharing sessions for our Cheesemaker, Start-Up Cheesemaker and Buttermaker members. 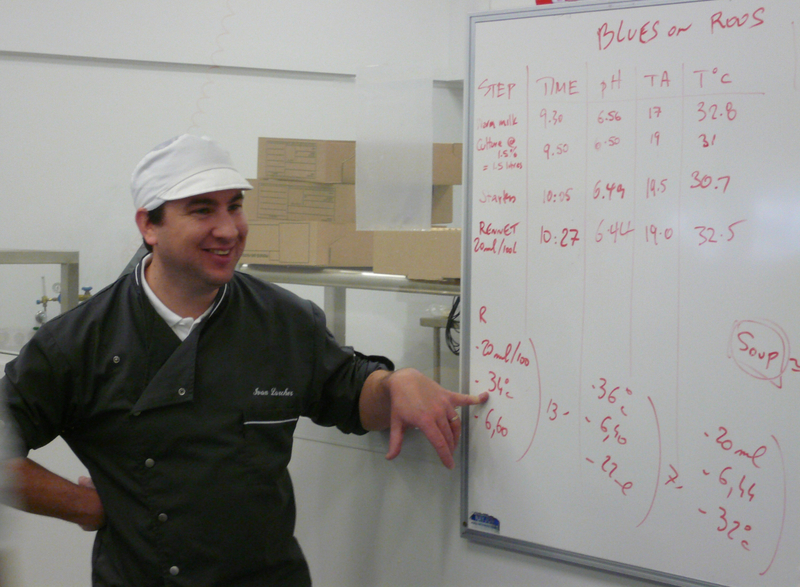 Many of you have participated in Professional Cheesemaking Workshops we have run with Ivan in previous years in Sydney, Melbourne, Brisbane and Adelaide. Others would have experienced his one-on-one consultancies or his various Dairy Australia webinars. Ivan's expertise is highly sought-after throughout the world, so it is difficult to get as much of his time as we would like. This is particularly now that he runs his own small dairy and cheesemaking business, as well as conducting cheesemaking classes, on the farm he and his wife, Julie, own in central France. Indeed, he has pulled out of much of the consulting and teaching work he did for many years in the UK and the US so that he can focus on his new business - and on Australia.